Patreon Patron Exclusive Coming This Sunday! We here at Team Ostium have made the decision to give our patrons another special perk. So starting this Sunday, February 5th, patrons who have passed through the Third Door ($5 level) in addition to getting mini episodes, all the music, and transcripts, they will also get exclusive access to the next episode of Ostium a full week before it’s released to everyone else. So this Sunday, if you enter the third door, you’ll be able to listen to Episode 4: First Contact. And all future episodes of Ostium will be made available a week before regular release. 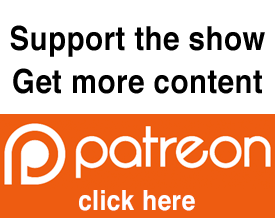 Head on over to our Patreon page and become a patron and help support Ostium.